Research on the hierarchical nature of cell differentiation and heterogeneity in tissues has been performed by isolating and identifying cells by the use of monoclonal antibodies, cell sorting, microdissection, and functional assays. However, it is difficult to analyze continuous changes in cell differentiation and the identification of cells for which cell markers are unclear. Furthermore, cell populations considered identical were shown to be diverse. Recently, single cell gene expression analysis was performed to help understand the complexity of cell populations. Single-cell analysis can analyze the diversity of individual cell populations as well as the tissue microenvironment, and is extremely useful for research on intercellular interactions in diseases and identifying specific marker genes. Recent advances in technology have made it possible to analyze hundreds of single cells. 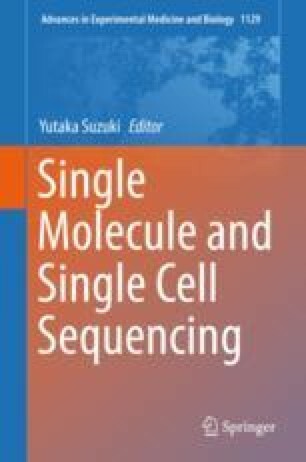 In this paper, we introduce our newly developed well-based single-cell transcriptome method, which includes other methods. We are most grateful to T Torigoe, Y Hirohashi and Y Takamura for technical assistance. This research is (partially) supported by JST CREST Grant Number JPMJCR15G3, Japan, and Japan Agency for Medical Research and Development (AMED).